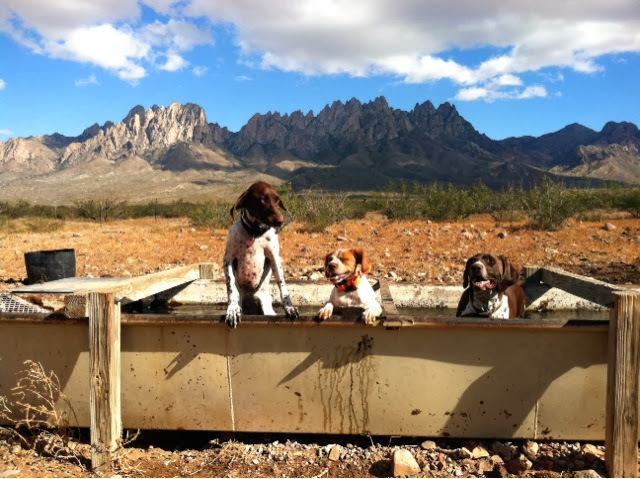 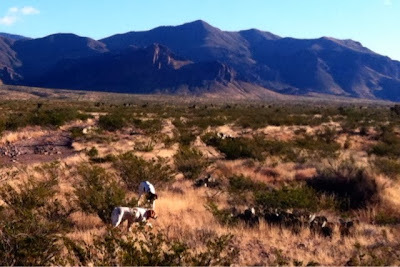 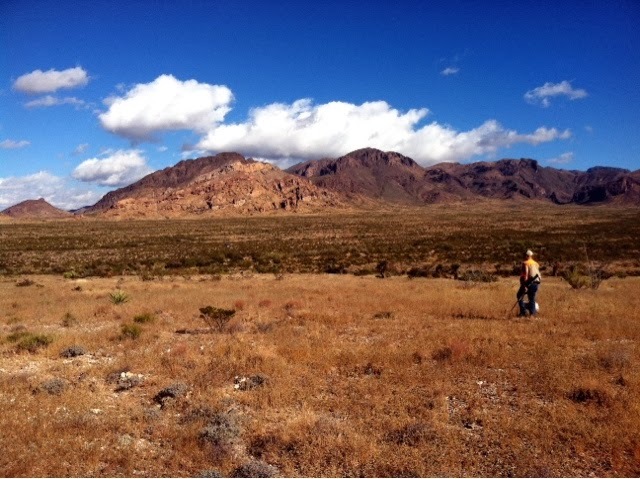 This past weekend John and Scout went quail hunting in the foothills of the Organ Mountains and the Florida Mountains. 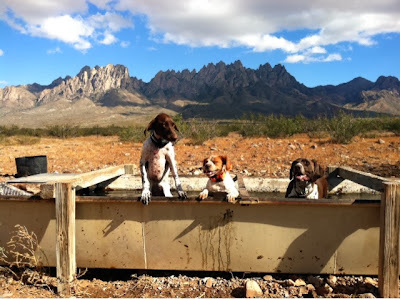 They went with John's coworker's husband and their two German Shorthaired Pointers, Taz and Addy. Unfortunately they did not find any quail, but there were tons of doves, and dove season opens in two weeks. 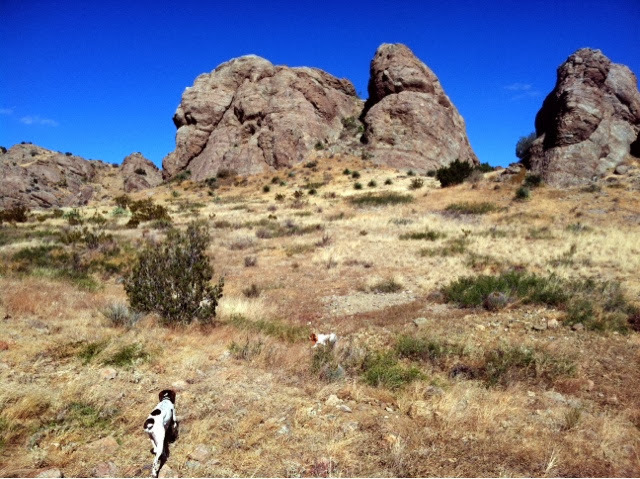 Despite not seeing any quail, it was still great experience for Scout to get out in the field and run the terrain with experienced dogs. 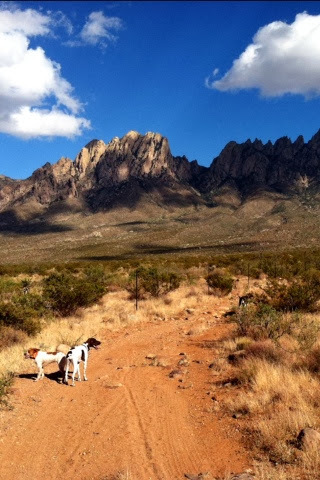 Although there were no encounters with birds, Scout did stumble upon a rattlesnake. John saw Scout jumping around in a bush as if she was stalking something and then she very abruptly jumped back (as if she was scared). John walked over to the bush and it turned out that there was a rattle snake that lunged at Scout (John could hear the rattle through his ear plugs!). 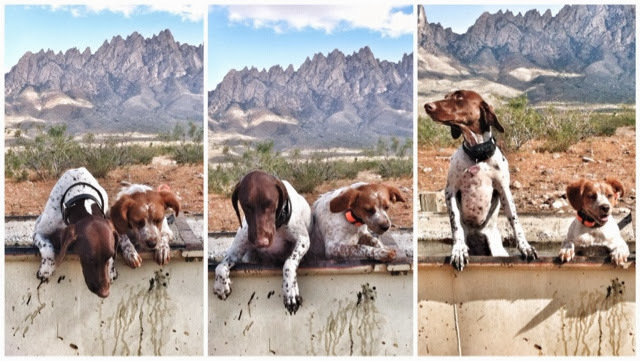 They shot the rattle snake (which had 9 rattles, indicating that it was an older snake), and we are so thankful that little Scout did not get bit! When John and Scout arrived home on Sunday night, Scout was so tired and slept the whole evening... it was like life before we got a Brittany puppy!